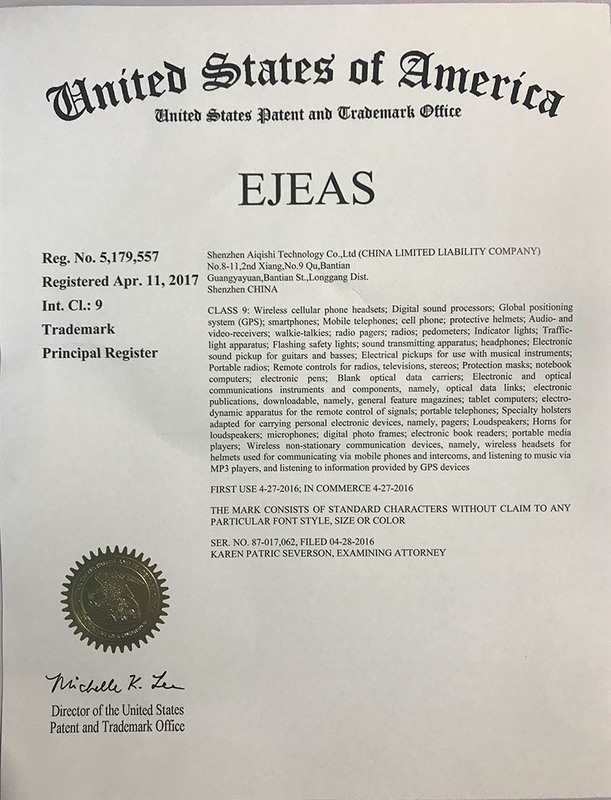 Company Overview - Shenzhen Ejeas Technology Co., Ltd.
3YRSShenzhen Ejeas Technology Co., Ltd.
What you benefit:1. Saving your cost2. Be free from trouble, be safe from customer complaints3. Latest items inside test from Ejeas4. Get more customers, gain reputation5. Free exhibitions with Ejeas, such as Interbike/Eurobike/Intermot/EICMA/CESWhat Ejeas offer:1. 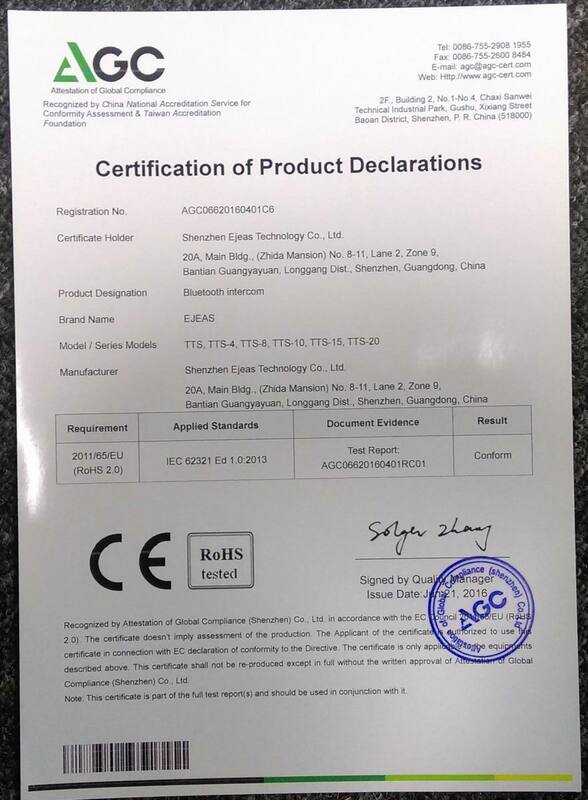 Two years warranty for all bluetooth intercoms2. 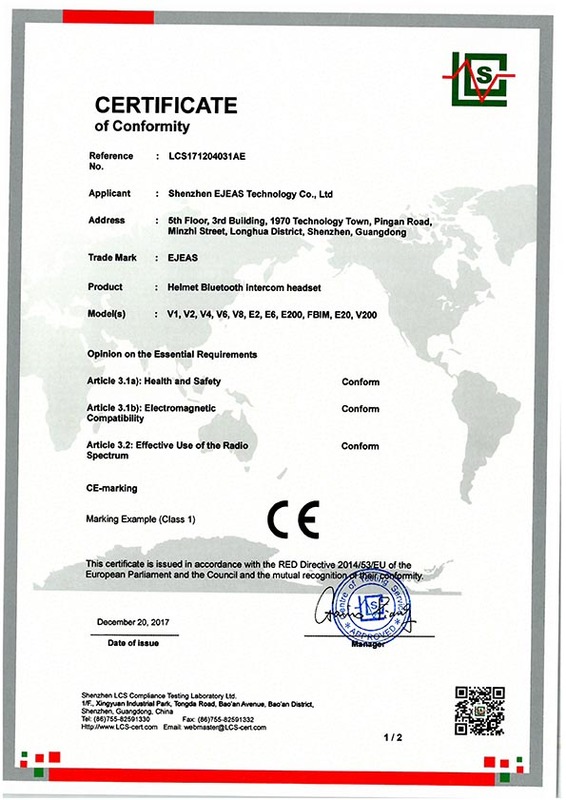 Quality Guarantee: BQB/MSDS/CE/RoSH/FCC certificated3. Worked with Yamaha, Honda, Buell, Duacti, Harley-Davidson etc4. 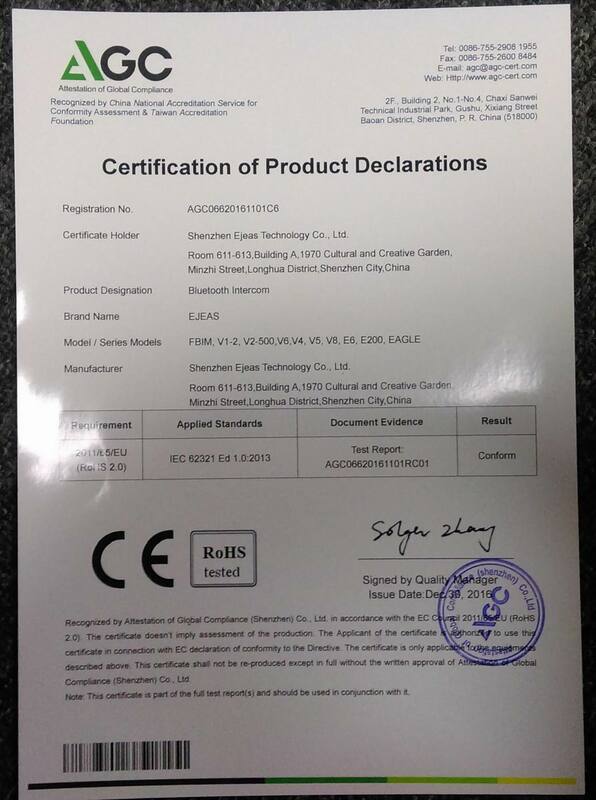 Professional Factory: 200 workers, 28800 M2, 10 members' R&D team, 13 years' OEM/ODM experience5. More options: V1, V2, V4, V5, V6, V8, E2, E200, E6, E6 Plus, Eagle, FBIM, TTS etc6. Reasonable priceHope a long term relationship with you.